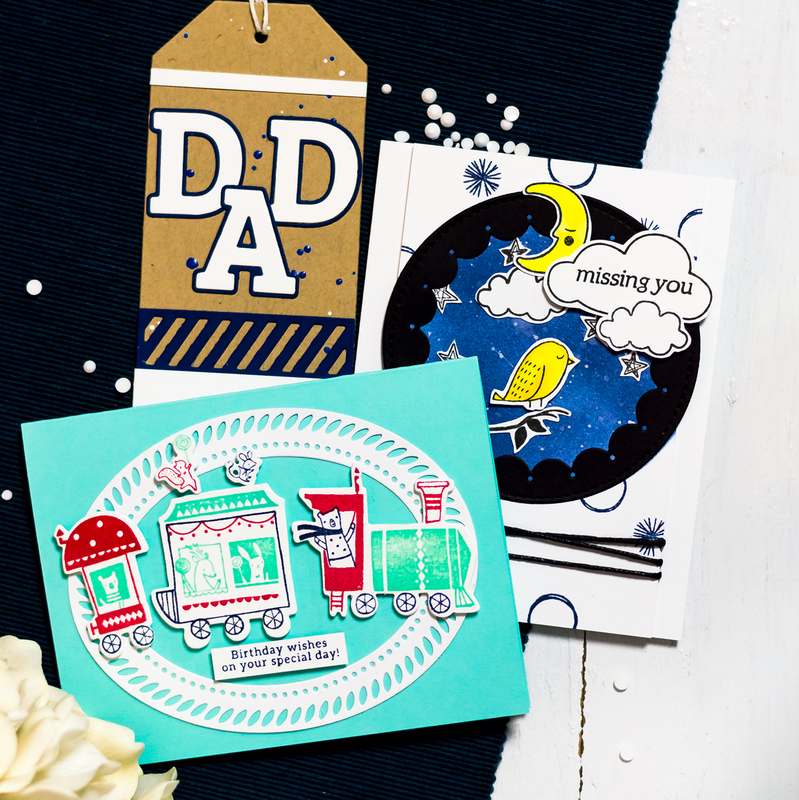 Sentiment stamp sets are specific types of set. 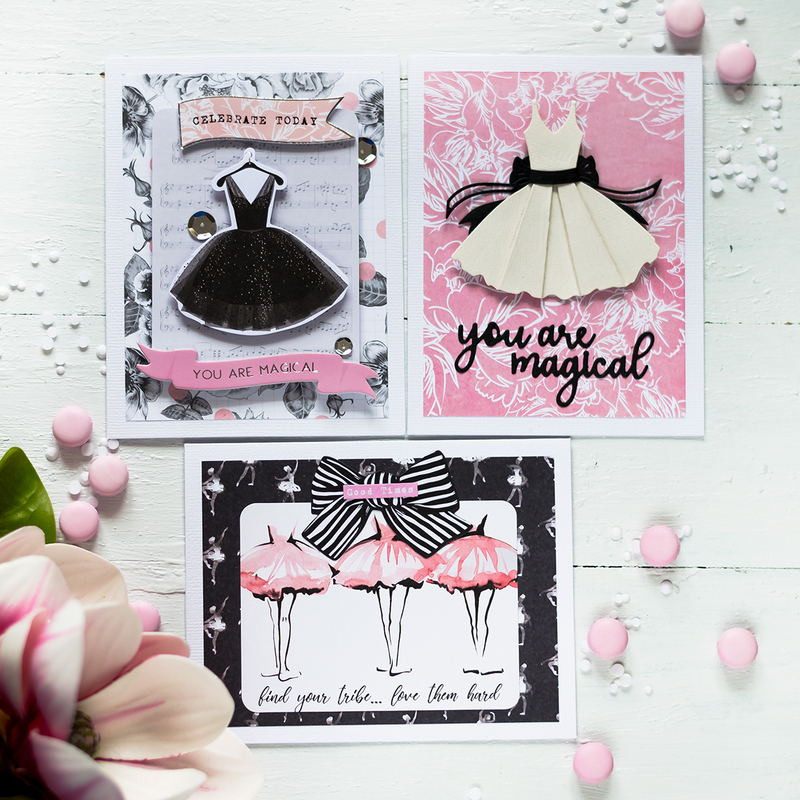 One one hand no matter how many stamp sets you have you still need a sentiment to finish your card. So those are staples. On the other hand a set with only sentiments seems to not have an option to be used independently, which may lower their value. 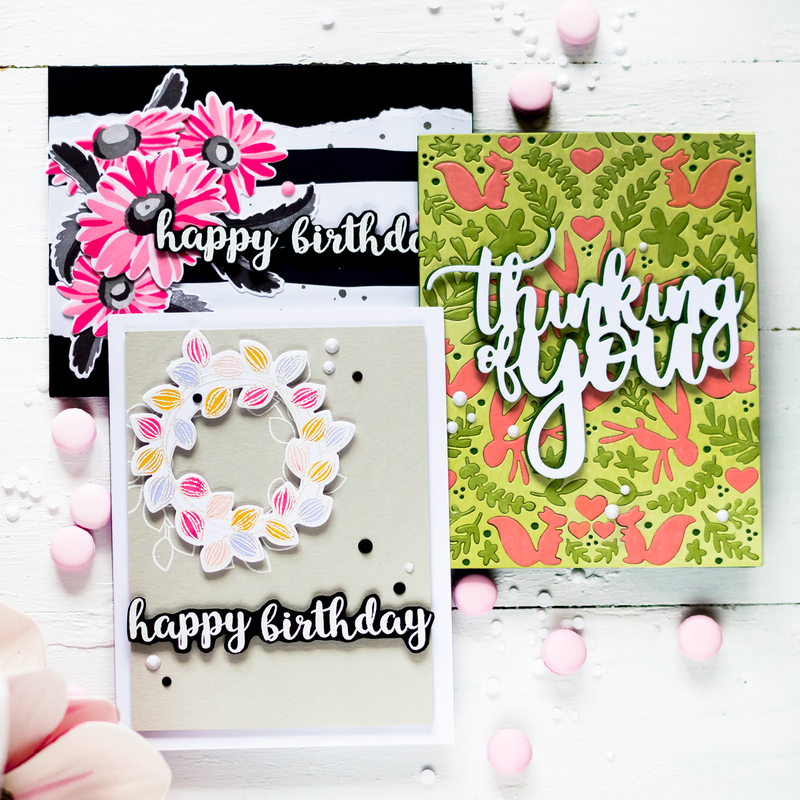 But there are so many options to use only a sentiment set on a card. 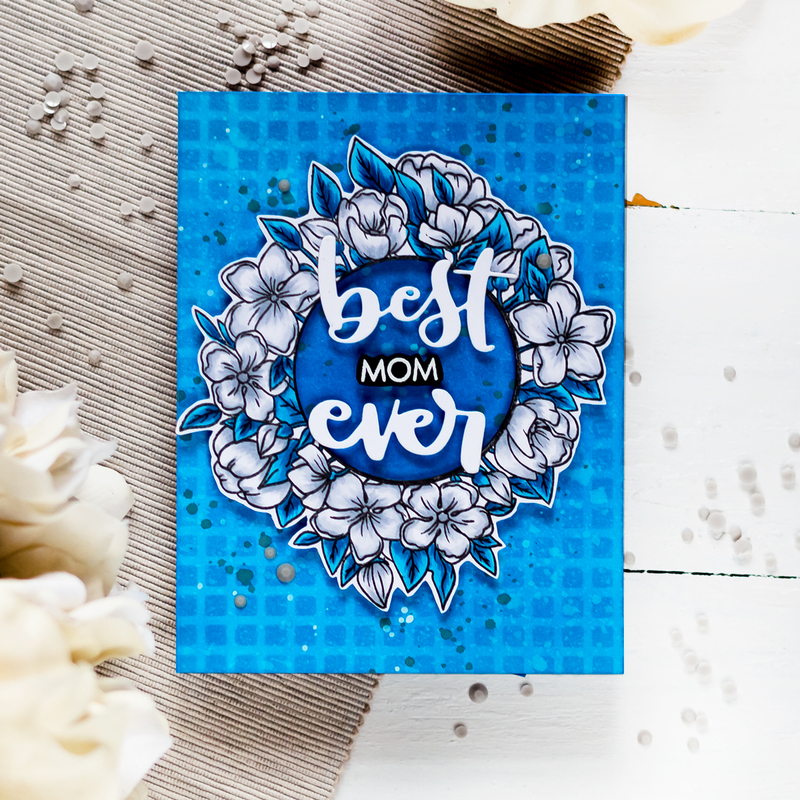 You can make a background using many sentiments, you can white emboss several sentiments onto a color cardstock and stack them one on top of another. Bigger sentiments can be used on their own on top of fun backgrounds. Options are limitless. 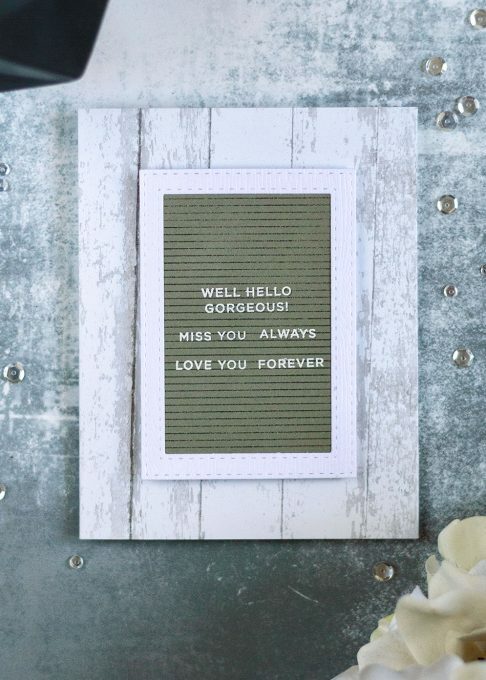 For the card I’m sharing today I decided to make a “felt letter board”, those are so popular now. 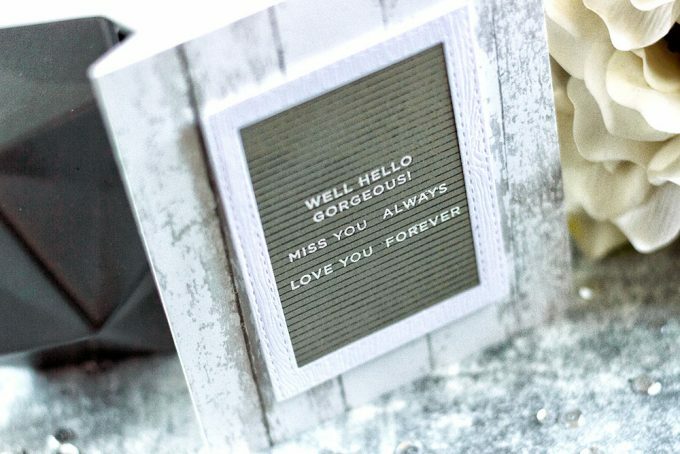 First I stamped the Altenew Pinstripes Background onto a SSS Smoke Gray Cardstock with SSS Slate Ink to make a “felt” letter board insert. 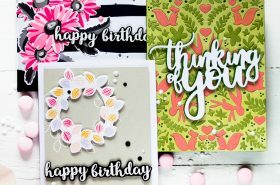 Then I picked up several sentiments from the set which would work for a real letter board and white embossed them onto the background. I made the board frame out of Solar White Cardstock by die-cutting it using SSS Stitched Rectangles Die Set. And adhered on top of the” felt” part, which was preliminary trimmed to the size of the frame. 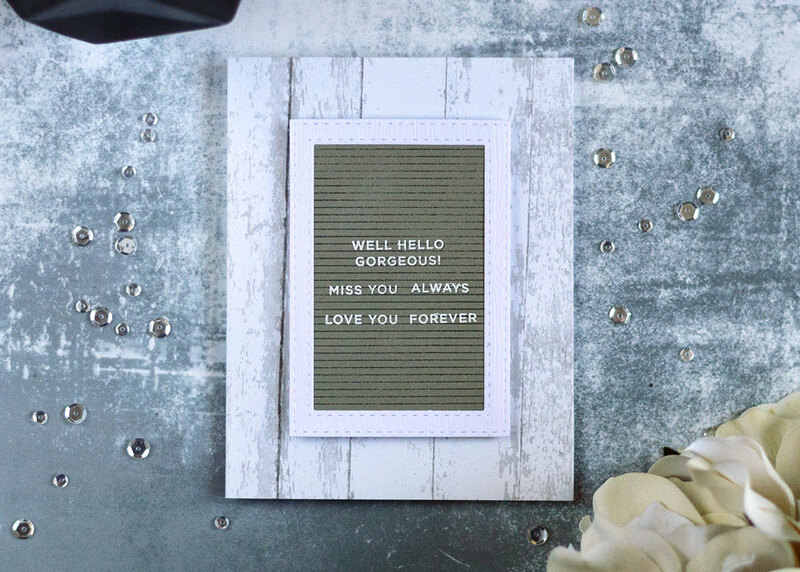 I adhered a patterned paper panel with a weathered wood design onto a white card base and foam mounted the “letter board” on top. Which finished off the card. It really looks like felt! 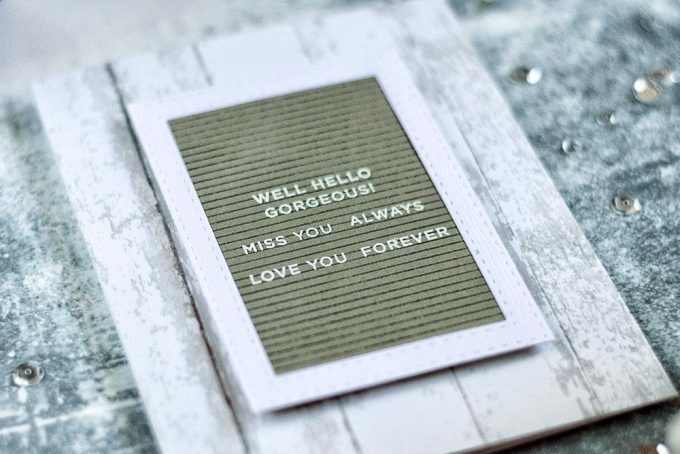 What a neat design idea to use several sentiments. This is so creative! 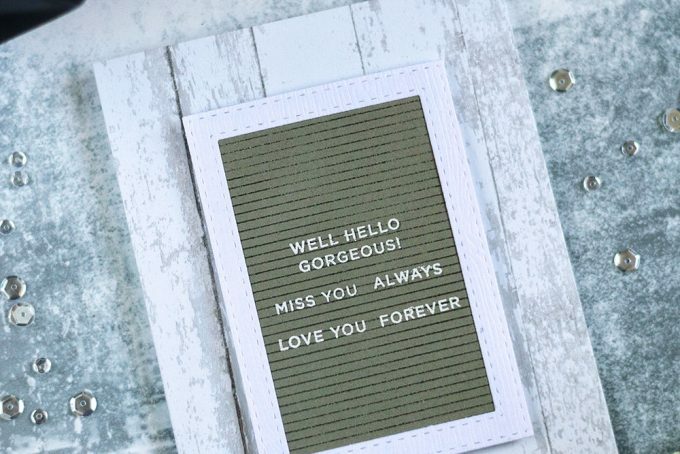 It really looks like a felt letter board! 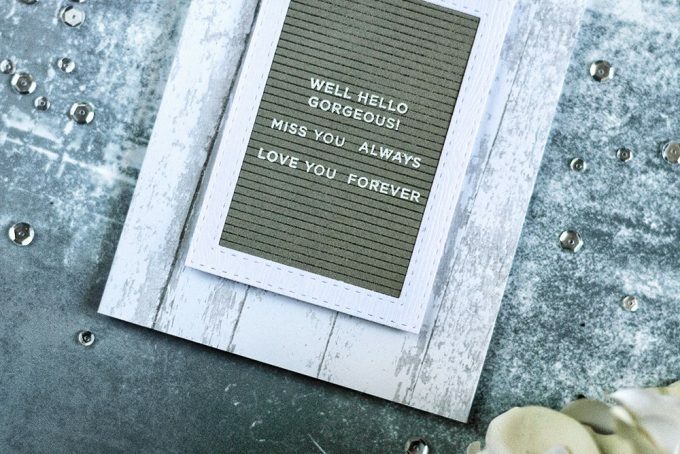 When I first saw your card, I thought there was a letter board stamp set. 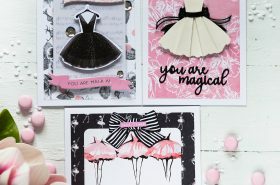 How cool you created this look!